Early morning glory, a photo by Patricia Manhire on Flickr. Yesterday I got up early and went down to the river with my camera. It is starting to get a little cooler in the mornings now and there was a heavy dew, but the birds were singing and it was lovely to wander about communing with nature. 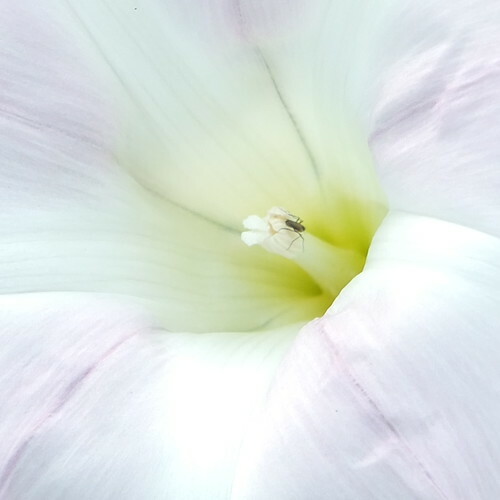 I have taken a few lovely photos and here is one flower I managed to get with an insect on it. The bees were nowhere to be seen as it was too cold for them, so an incy wincy spider will have to do. I hope you enjoy it.